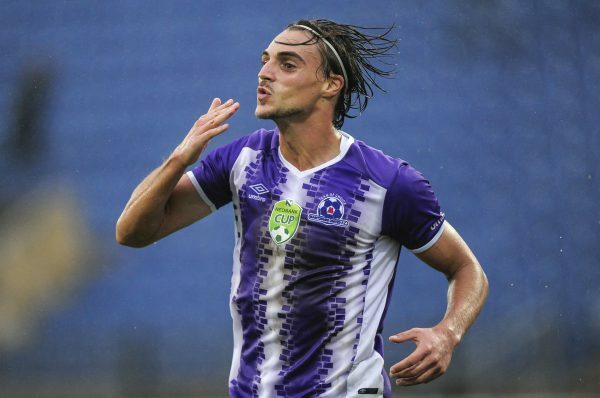 Maritzburg United striker Andrea Fileccia has predicted a lethal combination with new signing Yannick Zakri who joined from Mamelodi Sundowns recently. Fileccia said he and Zakri have played a few matches as partners up front in training and it looks promising. “The coach has played us together at training and the skills that we have are very complimentary. He is very skilful, he can score goals and dribble. For me it’s almost the same thing. I can also play as a second striker or as a No. 10. We both speak French so that helps and compliments our relationship on the field,” said Fileccia. The Belgian also revealed that he wants to score more than the 11 goals he scored for the team last season but understands he will have to work hard for it. “Obviously at the beginning of each season you have to give yourself a target. I want to do better than what I achieved last year with the team, I want to score more goals and help the squad at the same time,” Fileccia said.